Taiwan's Ministry of Economic Affairs (MOEA) plans to propose a new automotive commodity-tax rebate project that is expected to help stimulate new-car sales, lower carbon emissions, boost used-car exports, and develop the local automotive industry. The tax rebate plan, according to insiders familiar with the program, is designed to subsidize owners of three ranges of used cars: four-year-old, four-to-eight year old, and over-eight year old used cars. When theses cars of various age ranges are exported, vehicle owners qualify for commodity-tax rebates of NT$70,000 (US$2,258), NT$50,000 (US$1,612) and NT$30,000 (US$968), respectively. But subsidies are only given after owners have driver the cars for at least two years. Chang Sheng-ford, Minster of Finance, has expressed support for the new subsidies project, which he deems will promote the island's used-car exports, stimulating old-vehicle replacement, and drive development of the local automotive industry. With such subsidies program, Chang estimates that annual new-car sales on the island might top some 500,000 units, compared to 420,000 to 430,000 units in the past two years. The Taiwan Cabinet has called joint meetings between the MOEA and Ministry of Finance (MOF), asking questions about potential policy effects, impacts on used-car vendors etc., as well as having instructed the MOEA to carry out evaluations, with the MOF to propose related commodity-tax amendment proposals as early as October. Insiders said that the four-year-old category was suggested by the Taiwan Transportation Vehicle Manufacturers' Association (TTVMA), which believes that most leased cars are to be disposed of after three or four years. The MOF has not rejected the association's proposal to suggest a high probability of adopting the idea. The three vintage range subsidies program had been intensively discussed between the MOEA and TTVMA many times, with some MOEA officials saying that currently of the about seven million cars in operation in Taiwan about four million are older than 10 years. In Taiwan, the average used-car replacement cycle is about 12.5 years. However, the core goal to be achieved by the proposed subsidies program is to target "consumers who buy new cars while exporting old ones," so as to promote used-car exports and new-car sales in Taiwan. Higher new car sales would benefit production of parts while used-car exports would fuel the repair/maintenance sector since cars need to be tuned up before being shipped abroad. Imported cars have been rapidly encroaching on market shares of locally-made cars in Taiwan over the past few years, with many popular luxury imports gradually replacing locally-assembled counterparts. Under such trend, the MOEA has been trying to map out tax-related tools to support the development of the local auto-assembly and auto-parts manufacturing sectors. If the new subsidies program is implemented, used-car exporters in Taiwan are expected to get stable, ample supply sources of products, in contrast to used-car vendors who only sell locally, who would not have as easily accessible product source, an issue the MOEA said would be further discussed with related vendors' associations. The commodity-tax rebate program will work with cooperation from automakers and vendors. When a consumer buys a car (with the used car to be exported), the tax rebate is paid by a new-car distributor, who has to acquire the new-car buyer's used-car export certificate to apply for reimbursement from the MOF. Amid efforts to further expand domestic demand to stimulate economic development, the Cabinet has been trying to map out new policies for about one month; but Chang San-cheng, Vice Premier, recently said that related policies and subsidies programs will be launched according to changes in the domestic economy. Ranking financial officials said that China's economic performance is a major indicator, and the government will not implement measures if the Taiwan economy remains robust. To date, according to insiders, the Cabinet as chosen more than 10 targets and is preparing measures to stimulate domestic demand, such as subsidies for telecom fees, energy-saving home appliances, automobile and motorcycle replacement purchases, domestic tourism, book buying etc. All the related stimulus programs, Chang said, have not been finalized. The said officials added that these stimulus programs are short-term, special measures, which, once put into effect, will only be effective if the overall economy is weak. China's economic performance greatly impacts the world's, they added, because the Chinese economy accounts for about 30% of the global counterpart. 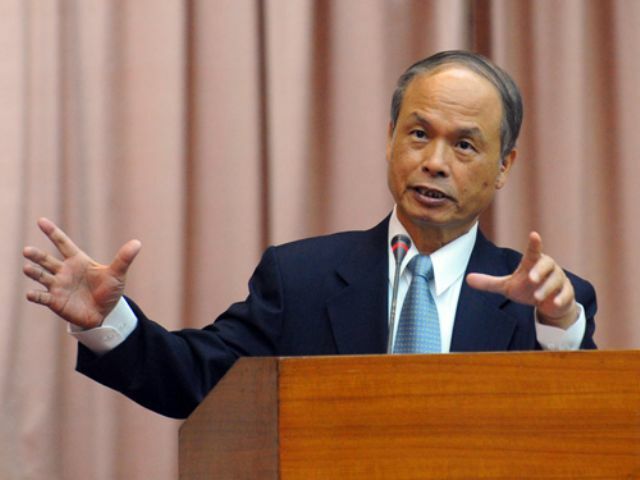 Regarding Taiwan's economy, Chang said that in the first week of September the island's export had improved, from two-digit decline to single-digit. Government officials are also optimistic about better performance in the fourth quarter, if the information and communication technology (ICT)-product inventory level of local companies would be further cleared during the period.